In Hearthstone, the art of deck building has always taken a relatively specific shape: You choose a win condition (e.g. kill your opponent with small minions as quickly as possible), then fill your deck with the most powerful card combos to help you accomplish that. In the past, some cards have attempted to switch up the formula by giving you a powerful effect if your deck fulfilled a certain requirement. Reno Jackson, the first of these cards, healed your hero to full health if your deck didn’t have any duplicates in it. 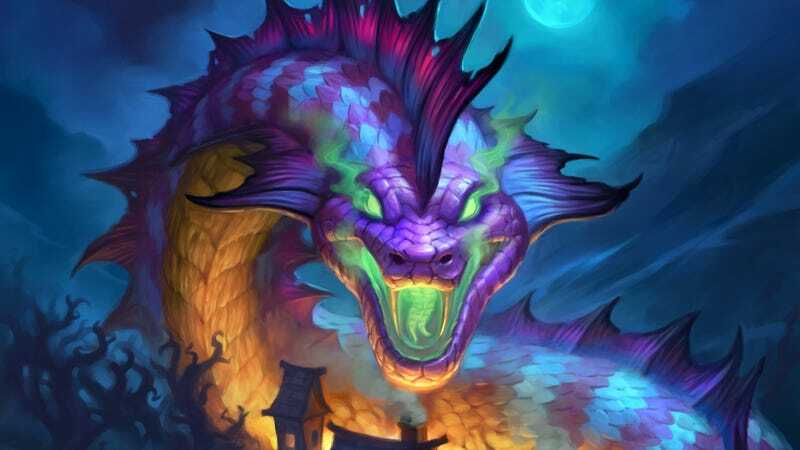 Now, thanks to two Legendary cards from Hearthstone’s Witchwood expansion, decks are taking on more interesting shapes than ever before. The first of these cards, Baku the Mooneater, upgrades your hero power at the start of the game, but only if you’ve built your entire deck with cards whose mana costs are odd numbers. It’s a striking limit, but on turns where you have an even amount of mana, you can use your 2-cost hero power to make the most of your mana pool. The upgrades here can have a huge impact on the game: If you’re a warrior, your Baku-upgraded hero power gives you 4 armor, which lets you survive even the most brutal onslaughts from aggressive opponents. If you’re a Paladin, your hero power spawns two 1-attack 1-health Silver Hand Recruits, allowing you to repeatedly swarm the board with minions even after your opponent has cleared it. If you’re thinking there must be a counterpart to Baku the Mooneater that gives you similar boosts if you build a deck with only even mana costs, you’re right. It’s called Genn Greymane, and it lets you use your standard hero power for 1 mana instead of 2, which helps you keep constant pressure on the opponent with your leftover mana. It’s true that a majority of the mechanics that come with Genn and Baku aren’t new to Hearthstone. 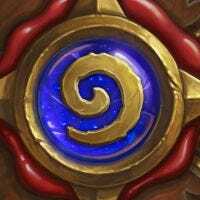 Cards like Prince Keleseth, Inkmaster Solia, and Reno Jackson have all provided great benefits by imposing similar limits on one’s deck building. Cards like Raza the Chained and Justicar Trueheart have discounted and upgraded hero powers when played. But Genn and Baku have a twofold effect that limits decks by so much, that they eventually change the mechanics of Hearthstone for those who use them. Of course, when you effectively cut half of the available card pool, the game begins to take a different shape, and a good amount of that has to do with the information that deck limits provide for the opponent. When you see that your opponent is playing an odd-costed Baku deck (and a fancy animation gives you this information at the very beginning of a match), you already know that your opponent isn’t using even-cost cards, which lets you rule out certain plays based on the turn number. For instance, if you’re playing against an odd Paladin deck, you already know (or should know if you do your research) that they’re not running the most powerful board-clearing cards like Consecration or Equality since they both are even-costed. This allows you to build a larger board without fear of an effective retaliation—that is, assuming you’re able to build any sort of board presence at all in the face of the Paladin’s upgraded hero power. On top of that, since Genn and Baku’s powers automatically take effect at the beginning of the game, they have a significant impact on the match whether or not you draw the cards, something that made past deck-limiters somewhat inconsistent and unreliable. This reliability, along with the fact that odd and even decks are pretty fun to experiment with, means that these types of decks are pretty popular in ranked play right now. Indeed, some of the best decks in the game right now are odd and even-themed. Personally, my favorite thing about odd and even decks is that they’ve paved the way for weaker cards and inventive new strategies to break into competitive play. After all, when you limit the available card pool by half, you end up requiring players to include some cards that used to be seen as sub-par. Of course, the upgraded hero power has a way of making up for some of that lost power. Where else would we see a Rogue deck list that relies on spell power minions and cheap damage spells to burst down the opponent? Where else (besides Arena, of course) would we see old, basic cards like Stormwind Champion used with zero irony whatsoever? Genn and Baku decks might eventually reach a point where they’re so optimized that they stop rewarding us with this kind of variety, but the cards and strategies they’ve introduced have already added flavor to Hearthstone where none had previously existed.